Donald Trump Jr. is in hot water for meeting with Russian lawyer Natalia Veselnitskaya in the throes of his father’s presidential campaign last year. The New York Times first reported the meeting, suggesting that Trump Jr. was hoping Veselnitskaya would provide damaging information on Democratic presidential candidate Hillary Clinton. Trump Jr. admitted they met and he assumed she had political opposition research, but that their discussion ended up primarily focusing on an adoption program. Trump Jr.’s explanation does not seem to be satisfactory to some lawmakers, who are now calling for him to testify before the Senate. He seemed more than willing to cooperate. 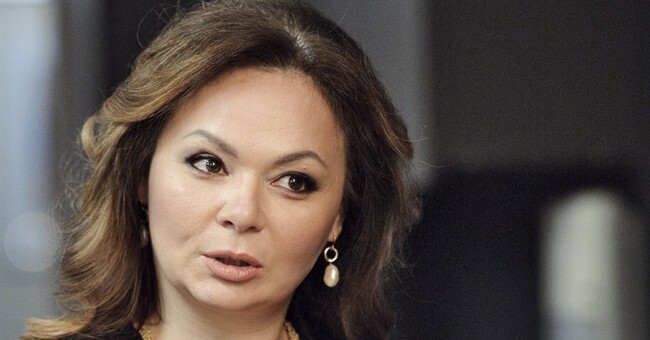 The reports got more incriminating on Monday night, however, when the Times published a follow-up piece with new information that Trump Jr. was told in an email that the Veselnitskaya had information from the Kremlin that could help his dad’s campaign. If true, as Guy notes, this could be the first (tepid) proof that Trump colluded with Russia to tip the election. Veselnitskaya gave an interview to NBC News Tuesday, where she denied having any ties to the Kremlin. She mused, however, that the Trump campaign was probably hoping for a different outcome. "It is quite possible that maybe they were longing for such information. They wanted it so badly that they could only hear the thought that they wanted," Natalia Veselnitskaya said, when asked how Trump Jr. had the impression she had information about the Democratic National Committee.